We love using books as a way to start meaningful conversations and encourage kids to embrace their unique differences. These children’s books about special needs are an excellent way to get the ball rolling. For children who don’t have special needs, this is a great opportunity to teach them the value of uniqueness, and how to be a good friend to those that are different than they are. For children with disabilities or other special needs, hearing stories featuring characters they can relate to is pure magic. Representation matters! 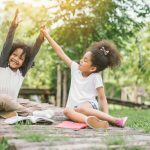 Special needs children will face many challenges in their lives, and reading inspirational children’s books can help improve their self-esteem and make them more mindful and confident in their skills and abilities. These books are the kind of positive reaffirming stories about kids being accepted for who they are that ALL CHILDREN will appreciate. Check out our list of the best children’s books about special needs. We highly recommend these stories for kids with special needs, their siblings, friends, classmates… and everyone in between. 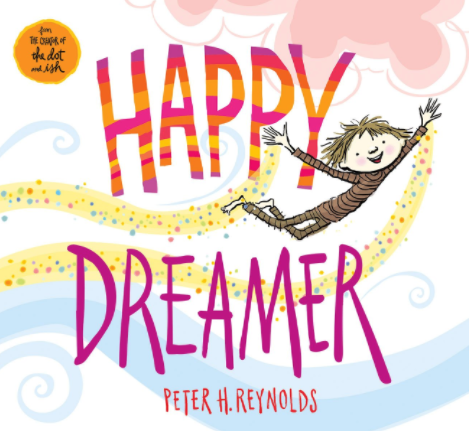 Happy Dreamer is a beautiful and inspiring book for children, but especially those with ADHD. For kids with ADHD, sitting still and focusing for long periods of time can be challenging. Each page describes a different kind of dreamer. 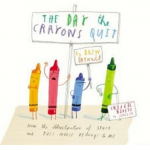 This empowering book reminds kids of how much their dreams matter. The author encourages everyone to tap into their most creative inner selves, even if it gets a little chaotic, and to never ever forget to dream big! 2. Can I Play Too? Can I Play Too? 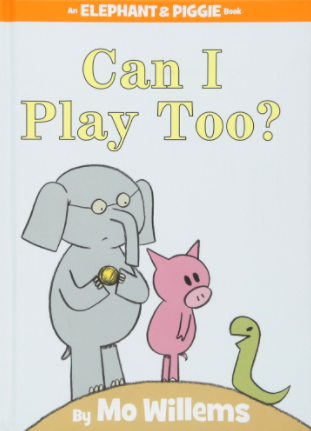 Is an Elephant and Piggie book about children learning to play with others who are differently abled. What happens when Piggie and Gerald play ball with a snake? Remember, a snake doesn’t have arms. As you might guess, lots of giggles and a lot of learning and understanding. One of the great children’s books about special needs. But as big sis tells us, for everything that Charlie can’t do well, there are plenty more things he’s good at. He knows the names of all the presidents, and he can play the piano better than anyone. Related: Fun And Cool Sensory Toys All Kids Will Love! 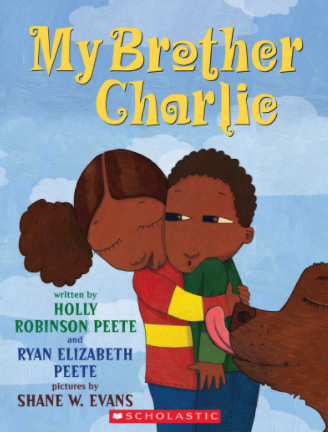 Actress and national autism spokesperson Holly Robinson Peete collaborates with her daughter on this book based on Holly’s 10-year-old son, who has autism. If you’re looking for books with autistic characters, this is a great pick. He doesn’t use her disability as an excuse or a reason, he simply accepts her for who she is. 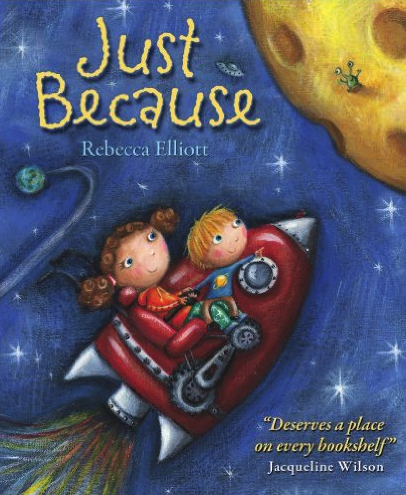 A beautiful story of love and understanding, making it a favorite among books about disabilities. 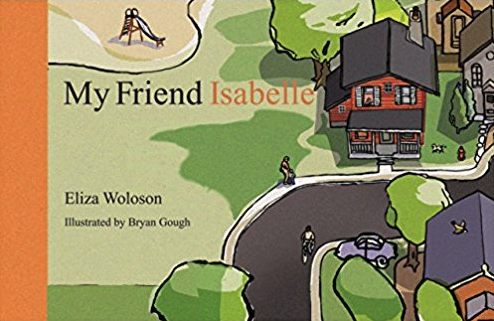 My Friend Isabelle is a sweet book about a girl who has Down Syndrome and Charlie, her friend. Charlie narrates the story and describes how they like to do a lot of the same activities, but they are also different kids with their own interests and personalities. The reader does not learn about Isabelle’s Down Syndrome until the end of the book; the focus of the book is on the children’s friendship. Which makes the book even more special. The book also opens the door to some wonderful conversations about what makes us friends and how to appreciate both our similarities and differences. Junkyard Wonders is based on true events. This inspiring story celebrates the special influence a teacher can have. As Trisha enters a new school, she hopes she won’t be relegated to a special class. In her old school, she had trouble learning to read. She’s devastated to find out her new class is known as “the junkyard”. But then she meets her teacher, the quirky Mrs. Peterson, and her classmates, an oddly brilliant group of students each with their own unique talents. 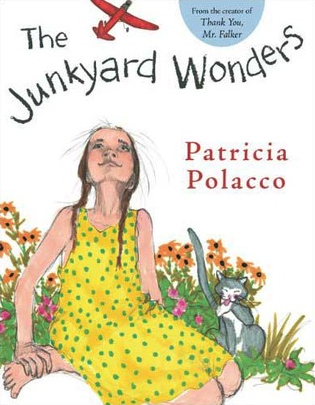 In The Junkyard, Trisha learns the true meaning of genius and acceptance. She discovers that this group of misfits are all wonderful in their own way. 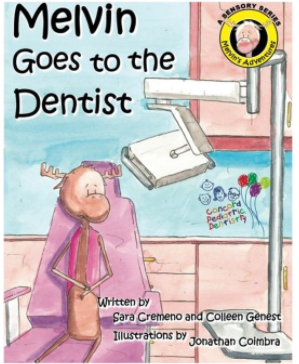 Melvin Goes To The Dentist is a story for children with special needs and anxieties. It clearly outlines what happens when going to the dentist for the first time to take some of the anxiety out of this new experience. The story has customizable sections to help insert a variety of special needs circumstances to help kids feel connected to the story. Parental guides are filtered throughout, to give ideas for finding solutions to problems associated with the fear of a new experience. 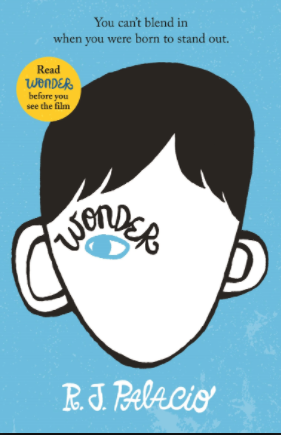 Wonder is the book that inspired the Choose Kind movement. It was also recently turned into a movie (which would be fun to watch with the kids after finishing the story). August Pullman was born with a facial difference that, up until now, has prevented him from going to a mainstream school. In 5th grade he starts attending, and wants nothing more than to be treated as an ordinary. The book begins from Auggie’s point of view, but soon switches to include his classmates, his sister, her boyfriend, and others. These different perspectives teach important lessons about bullying, empathy, compassion, and acceptance. Auggie is an inspirational hero that proves you can’t blend in when you were born to stand out. 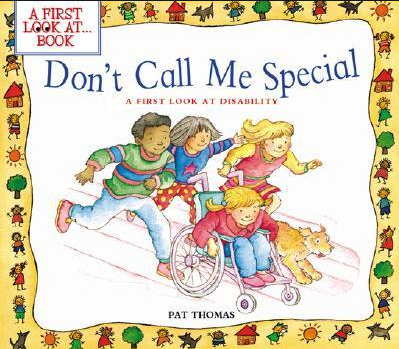 Don’t Call Me Special explores children’s questions and concerns about physical disabilities in a simple and reassuring way. 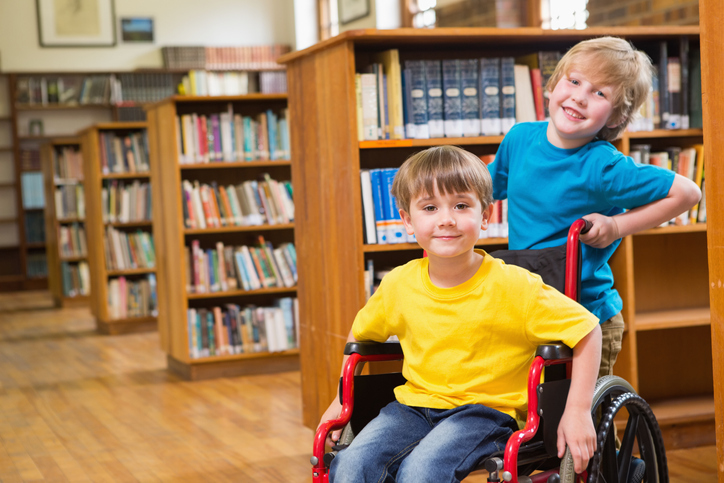 Kids can learn about types of disabilities, the equipment available to help overcome those disabilities, and how people living with disabilities can live long and full lives. The book is designed to promote positive interaction among children, parents, and teachers, and it encourages kids to ask questions and confront social and emotional issues surrounding disabilities. Be a Friend is the sweet story of Dennis, “an ordinary boy…who expressed himself in extraordinary ways.” Dennis doesn’t talk, preferring to mime, and he’s lonely until a friend named Joy comes along. The story explores a friendship that transcends verbal communication. 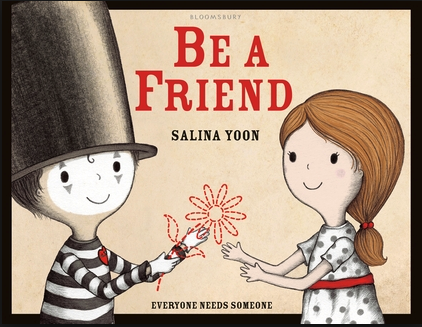 This book is great for any child who feels different, and it’s also a wonderful tool for promoting empathy and friendship among kids. 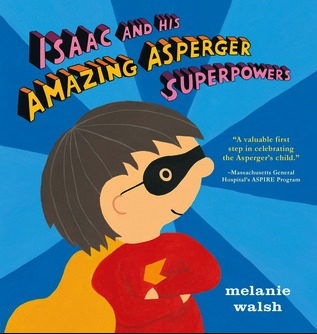 Isaac and His Amazing Asperger Superpowers is narrated by Isaac himself, a boy with Aspergers who can remember lots of facts but struggles with ordinary challenges like making eye contact, understanding certain jokes, saying inappropriate things, and dealing with sensory overload. 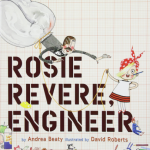 What we love about this book is the positive message of accepting neurodiversity. We also like how Isaac speaks for himself, and how no one tries to change him. This is a great story for autistic kids, their siblings, peers, and any parent who wants to teach their kids to about neurodiversity acceptance. 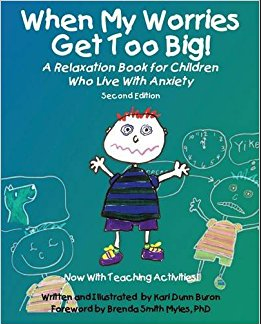 When My Worries Get Too Big is a helpful tool that gives young children an opportunity to explore their feelings with parents or teachers as they react to events in their daily lives. Many kids with stress and anxiety disorders worry about what might happen if they lose control. This story will resonate with them! Plus, the book helps kids develop their own simple self-calming strategies to help them relax and focus. HEY MOMS! Have you heard about Epic! It’s the world’s leading online children’s subscription book service! For a low monthly fee (that’s less than the cost of an individual book) your child gets UNLIMITED ACCESS to over 25,000 high quality children’s books. This list includes thousands of read-to-me, audio books, and educational videos as well. Check out Epic! Today. SHARE the Best Children’s Books About Special Needs with friends on Facebook and Pinterest by clicking the buttons below. 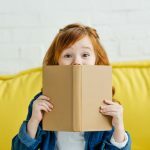 Personalized Books For Kids: Make Your Child The Star Of The Story!